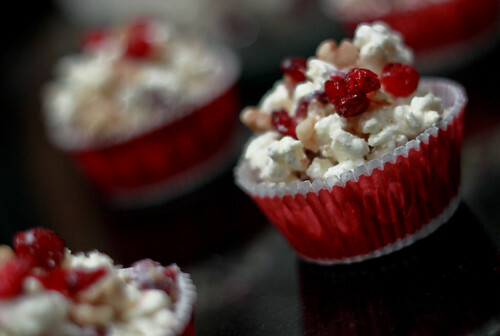 Inspired by a Long Island bakery that makes chocolate-covered popcorn, this no-bake cupcake recipe is made with white chocolate chips, butter popcorn, dried cranberries, and walnuts. I'm no white chocolate fan but I find that with cranberries, it's a match made in dessert heaven. Pick at it or sink your teeth in it, this is a sweet treat for kids—and big kids. It's G-double-O-D good. 1. 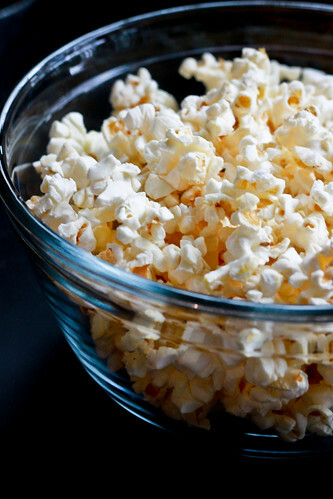 Make popcorn according to instructions. 2. Place white chocolate chips in a microwaveable bowl and microwave for 30 seconds. Stir. Microwave for another 30 seconds or until completely melted (careful not to burn it!). 3. 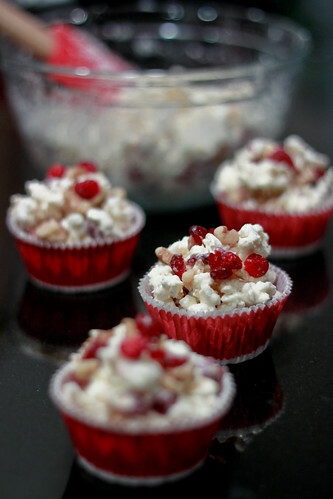 In a large bowl, stir in popcorn, cranberries, and walnuts. Add salt. 4. Line muffin pan with baking cups and fill with mixture. Refrigerate for 5 minutes. 5. Ta-dah! 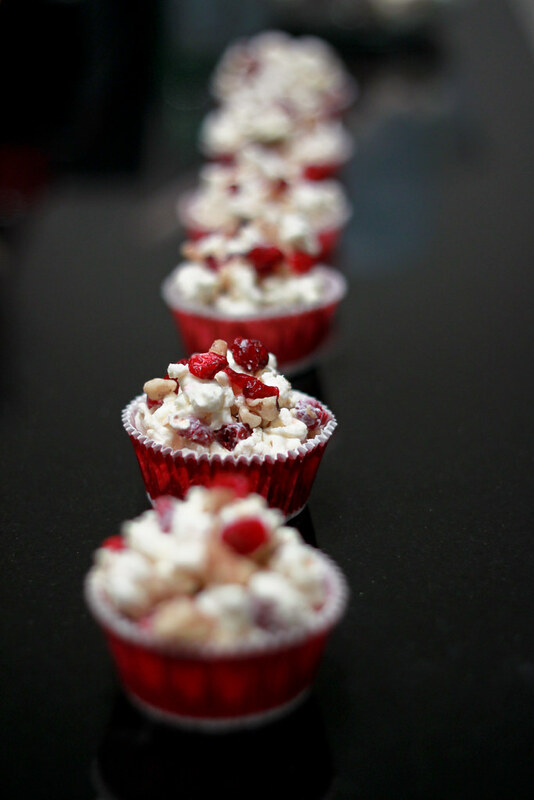 Super cute popcorn cupcakes, ready to eat. Enjoy. Quick, absolutely no-fuss, and completely adorable. Now you've got your next party dessert covered. ta-dah! that't just too easy. what a great snack!